The illicit cigarette trade now accounts for a fifth of the local market, according to cigarette distributor Carreras Limited. 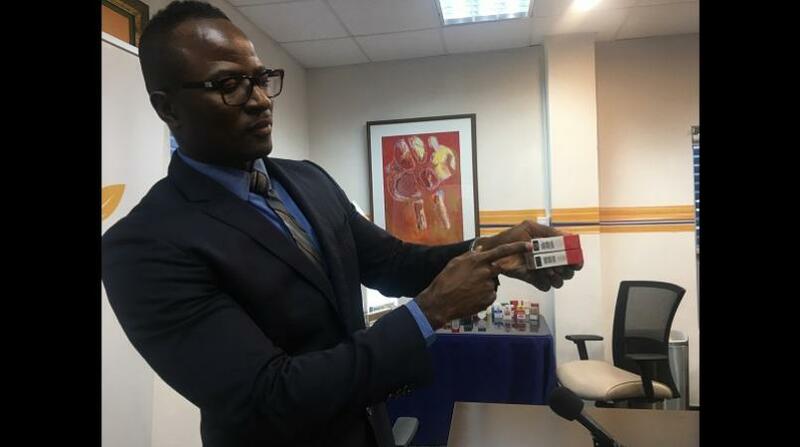 What's worse, the company said at a press conference on Wednesday that the approaching festive season is expected to see a rise in counterfeit and other illegal cigarettes making their way through Jamaican ports. The illegal trade is eating away at Carreras' profit margins and costing the country billions of dollars in revenue each year, the company said. “We are observing the rising incidence of illicit cigarettes being sold in our country,” said Marcus Steele, managing director of Carreras, noting that the illegal trade have infiltrated the entire island. According to Steele, a recent study, commissioned by the cigarette company, found that there has been a three per cent rise in the illegal trade, which now accounts for 20 per cent of the overall cigarette market share. Steele highlighted three 'illegal' brands that have primarily been eating away at the company's market share, noting that each of the three brands cost the government $300 million annually - $900 million in uncollected tax revenues. He noted that the uncollected taxes could be used to fix roads, build community centres and help with the police forces. Steele also noted that the trade is very frustrating for the company as it has to pay its fair share of taxes and abide by local regulations while competing with brands that are being consumed locally but are not paying taxes or conforming to local guidelines.